At least four female real estate agents in Massachusetts received calls and texts from an unidentified man last week attempting to arrange meetings. Two of the agents received phone calls from a man claiming to be employed by the Bristol County Sheriff’s Office in Massachusetts, adding that they owed $2,000 in fines they failed to elaborate on. Two additional agents received text messages from a man claiming that a broker wanted to speak to them. In each of the incidents, the women’s names and contact information may have been plucked from online lead generation sites, according to the Realtors Association of Southeastern Massachusetts in a statement sent to members. The calls were scams, Jonathan Darling, the public information officer for the Bristol County Sheriff’s Office, told Inman. The perpetrators were using technology to block the number and show it as ‘Sheriff’s Office’ while also identifying themselves as officers actually working at the department. The calls and texts appeared to target female agents, in particular. 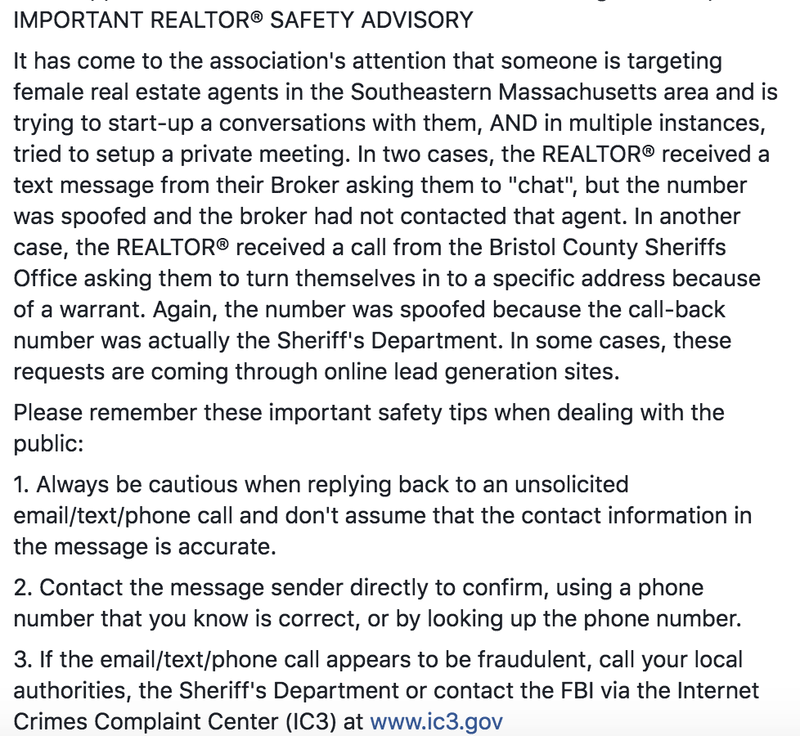 After several agents reported receiving similar messages, the Realtors Association of Southeastern Massachusetts sent an email alerting members of the scam, adding that they believed the woman’s names were culled from lead generation sites. The sheriff’s office has passed these reports on to the local police precinct, which is currently investigating the situation. They are advising anyone who receives such a call to take down the number, call the office and have them confirm that it was a scam. Darling said he did not know why the scammers targeted real estate agents, or female professionals in particular. Although numerous real estate-related scams have been circulating online over the past few years, this one is unusual in that it appears to target female agents specifically. 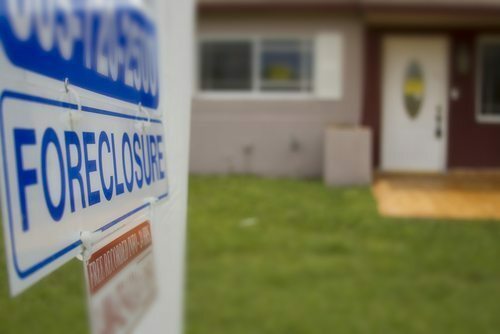 “I don’t know why they’re targeting real estate professionals unless these scammers think that that’s they’re the ones who will buy into scams,” Darling said.